Balloons are guaranteed to provide the fun factor in a wedding, birthday party, picnic, tea party or romantic dinner. Try updating the ‘ normal ‘ helium balloon with a string made of ivy and flowers. 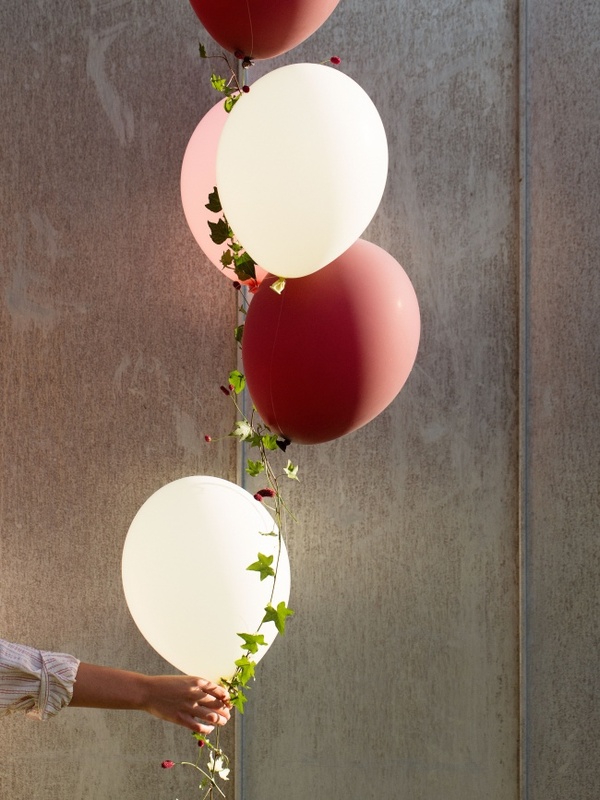 It gives a romantic, cheerful effect which lends that little something extra to your party decorations! Buy one or more balloons. Preferably a larger size, so that it is not dragged down by the weight of the plant string. Select sisal string or fishing line as the base for the plant. Don’t forget to secure the balloon or hang a weight from the bottom so that it does not float away. Select your choice of climbing plant, and wrap it around the string. Add a couple of your favorite flowers to provide the finishing touch. Soooo pretty and original! Great idea- I might use this in a photoshoot. Thanks for posting!